The Spa Cleaner Sooth your mind and body with an exhilarating massage at the touch of a button! 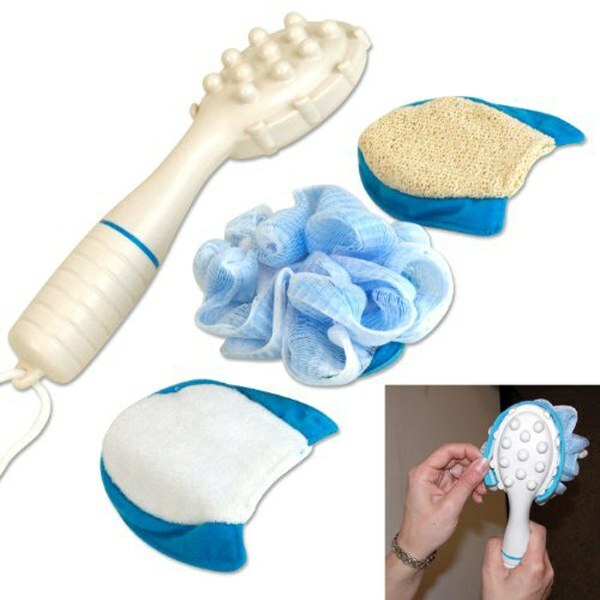 Use the Spa Cleaner as seen on TV for spa style bathing and massaging. Extreme power from a built in motor drives sudsing, scrubbing and exfoliation. Just add your own lotions to cleanse, and relax. Sooth your mind and body with an exhilarating massage. At the touch of a button the Spa Cleaner comes to life. A unique ergonomic shape vibrates 10,000 times per second, to perform the multiple functions. Soothing applications typical of costly far-away spas and resorts can now be had in the privacy of your own home. Complete with 3 removable bathing applicators : exfoliator, terry sponge, and loofah. Water resistant for use in shower or bath. This item makes showing faster & easter!